“This is Not the End – Conversations on Borderline Personality Disorder” is a new book out from Althea Press Edited by Tabetha Martin. It is compassionate book for those with BPD, Loved Ones, and Mental Health professionals. It includes insightful information and the contributions of 15 people who, in one way or another, are experiencing or have experienced BPD. Each contributor shares their own experience either having BPD, being recovered from BPD, being a loved one of someone with BPD and/or a Mental Health professional who works with people with BPD. I was fortunate enough to be one of the contributors to this very up-lifting and encourage book. It in now way stigmatizes BPD at all. In fact, just the opposite. It is compassionate and a welcome read for all with BPD. In the essay I contributed, entitled, “BPD Awareness and Three Key Components of Recovery” I share my diagnosis, my experience after that, on-going therapy that wasn’t helpful for years. 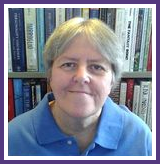 How I made a break-though got into group therapy and recovered from BPD in 1995. I also share what I know about what my recovery has meant and what it can mean for others. It was an honour to be asked to contribute and this book is a must read for anyone with BPD and BPD Loved Ones as well as Mental Health Professionals. It should be added to any library for those interested in further understanding of BPD from the perspectives of the Editor and all 14 other contributors. “In this unique collection, individuals of all ages and stages share their experiences with Borderline Personality Disorder (BPD). Within these pages, you’ll find an honest portrait of what it’s like to live with BPD, from the perspective of people with BPD and their loved ones—spouses, siblings, and parents, as well as mental health professionals. By turns heartbreaking and inspiring, this collection of real-life stories, personal essays, and candid interviews explores what a Borderline Personality Disorder diagnosis looks like—from the inside. Also featuring an in-depth overview of BPD and its common treatment methods, this book is a necessary tool for expanding your self-exploration and deepening your understanding of this confusing and often destructive disorder. 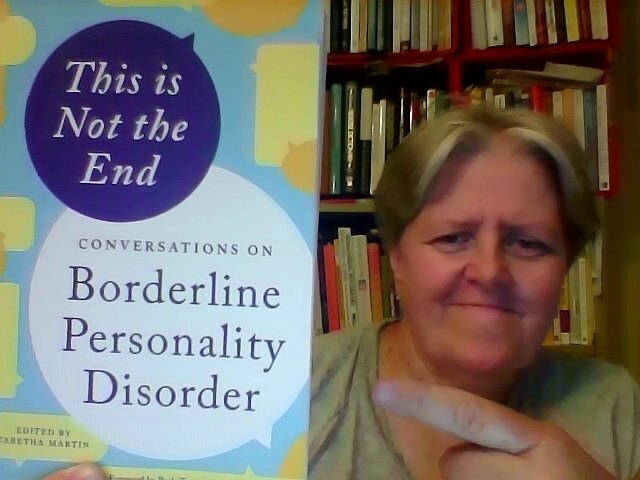 “In Part 1 of This is Not the End: Conversations on Borderline Personality Disorder, the author provides an excellent overview of borderline personality disorder including diagnostic criteria, types of the disorder, coexisting conditions, treatment phases and therapeutic interventions. It is presented in a way that is easy to understand, in laymen’s terms as opposed to more technical terminology. story for readers to ponder, giving the opportunity to reflect on the stories and possibly gain some personal insight. The resource pages at the end give the reader many additional places to find more information on this disorder. These include apps, blogs, books, foundations, online support, regional assistance, and websites.